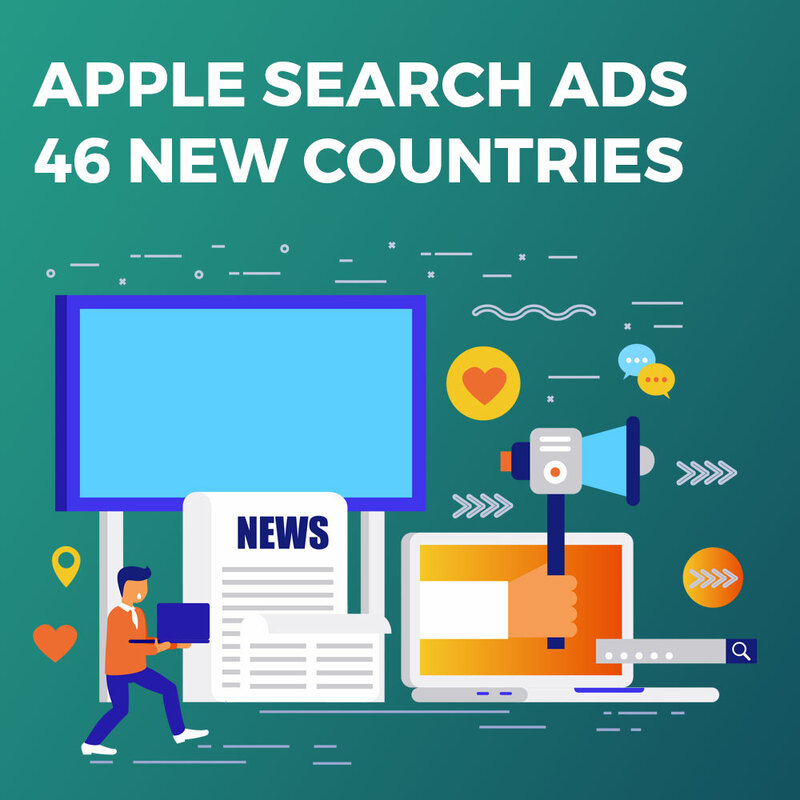 Apple announced today that their Search Ads platform has expanded to 46 new storefronts all around the globe, bringing the total country count to 59! In addition to these new storefronts, Apple has added some new ways for developers to create and manage campaigns. A single campaign can now be created to run across multiple storefronts, rather than setting up an entirely new campaign for every country. This is exciting news in the world of App Store Optimization because with the expansion of the Search Ads platform comes the ability to discover new markets and understand data like never before. Search Ads are a fantastic (and generally cost-effective) way to test new storefronts and discover new keywords specific to those markets. At The ASO Project, we’ve already implemented the new storefronts into our client dashboard and APIs in order to retrieve the most up-t0-date and current Popularity scores. Access to the Popularity score gives developers a very clear and accurate picture on the keywords that are highly searched in the target countries. Via the Search Ads platform, we’ve been able to get the first look at any kind of volume or traffic data from Apple. While this is the largest country addition to date by Apple, a lot of developers have already pointed out the lack of major markets like Brazil, Russia and China. Apple Search Ads have proven to be an extremely effective method for both user acquisition and ASO research, and we look forward to seeing how the platform continues to expand and make additional markets even more accessible to developers. An expert in the technology field, Todd owned a development company prior to co-founding The ASO Project, launching websites and applications used by hundreds of thousands of users across the globe. As CEO, Todd oversees all operational aspects of The ASO Project, and was integral in developing The ASO Project's proprietary algorithm and scoring methods used in the ASO process. Todd has vast experience with the App Store, Google Play Store and Amazon Store, deploying apps through all different categories. As a former four year NCAA Division I baseball player, Todd understands and appreciates the competitive and fast paced world of technology. Always improving our software, Todd is a large factor in keeping The ASO Project ahead of the competition. PREVIOUS: Do I need an App Store Optimization agency or partner?